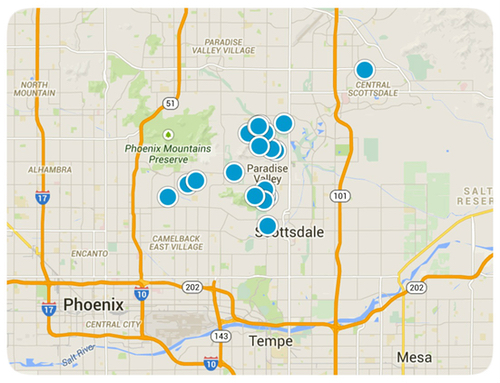 Access all Scottsdale, Arizona homes for sale and real estate here. 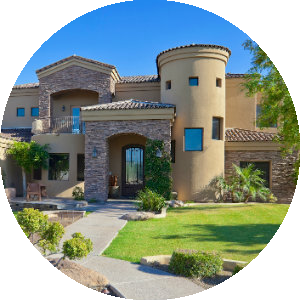 Properties in Scottsdale are updated daily from the MLS, so be sure to return here for the newest listings for sale in Scottsdale, Arizona. 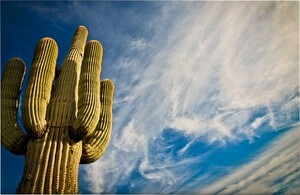 Scottsdale, Arizona is enjoyed and remembered for its upscale and sophisticated personality. It has culture, it has style, and it has that fabulous Arizona sunshine. Living up to its reputation for world-class hiking and numerous golf courses; visitors and residents have also grown to adore the expansive cultural activities that have made Scottsdale one of the most adored communities in Arizona. But it's the atmosphere and energy of this area that repeatedly captures the hearts of those who pass through as well as those who call Scottsdale home. For resident and tourist alike, Scottsdale, Arizona is about luxury and quality of life. The city must have the formula right, because more than 7.5 million people visit each year, and it placed seventh on Money magazine's "2012 Best Place to Live in America". 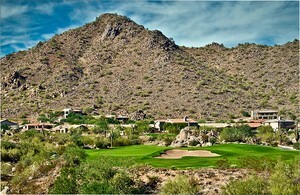 Scottsdale is internationally recognized as a premiere tourist destination. A visit to Scottsdale wouldn't be complete without experiencing all its beauty! Scottsdale is internationally recognized as a premiere tourist destination and, in addition to having more than 300 days of sunshine each year and the magnificent backdrop provided by the Sonoran Desert and the surrounding McDowell Mountains, Scottsdale also has the finest in shopping and dining, fabulous 5-star hotels, resorts, and spas, and an endless array of year-round outdoor activities including some of the best golf in the world. It is no wonder why some tourists end up calling Scottsdale their home. Despite its current reputation, the city had very modest roots. In 1888, U.S. Army Chaplain Winfield Scott paid $2.50 an acre for a 640-acre section of land in what is now Scottsdale. Scott's brother, George Washington Scott, became the first resident of the future town. He cleared the land, dug irrigation ditches, and planted 80 acres of barley, a 20-acre vineyard, and a seven-acre citrus orchard. In 1951, the year Scottsdale incorporated, there were still only 2,000 people living in the town, on less than two square miles of land. 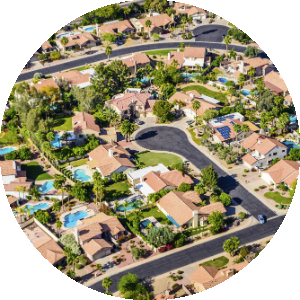 Today, Scottsdale has over a quarter of a million residents living on 185 square miles of land. The growth has escalated so much in recent years that Scottsdale is now Arizona’s fifth largest city. 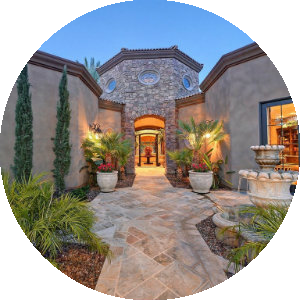 Today, Scottsdale is home to many popular planned communities such as McCormick Ranch, Gainey Ranch, Troon, McDowell Mountain Ranch, Grayhawk, Desert Mountain and many more. Downtown Scottsdale continues to thrive and offers a choice of unique areas including Old Town, the Main Street Arts and Antiques District, the Marshall Way Contemporary Arts District, and the Fifth Avenue Shops. 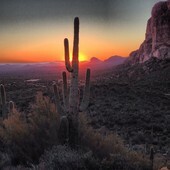 Further north, one can find Taliesin West, Frank Lloyd Wright’s architectural school and the McDowell-Sonoran Preserve. Scottsdale is a city in the eastern part of Maricopa County, Arizona, United States, adjacent to Phoenix. According to the U.S. Census Bureau, as of 2012 the population of the city was 245,500. The New York Times described downtown Scottsdale as "a desert version of Miami's South Beach" and as having "plenty of late night partying and a buzzing hotel scene". Scottsdale is bordered to the west by Phoenix and Paradise Valley, to the north by Carefree, to the south by Tempe, and to the east by Fountain Hills and the Salt River Pima-Maricopa Indian Community. The city is loosely divided into four areas: South Scottsdale (McKellips Road north to Thomas Road), Old Town (Downtown) Scottsdale, Central Scottsdale (also known as the "Shea Corridor", extending from Camelback Road north to Shea Boulevard), and North Scottsdale. The real estate market in Scottsdale is among the most expensive in the United States. In 2010, both Scottsdale and Paradise Valley were among the top ten markets in the nation for luxury home sales, and the only two cities outside of California. Paradise Valley was ranked ninth with $637 million in luxury home sales, while Scottsdale was ranked tenth with $594 million in luxury home sales. Scottsdale is known throughout the country for its creative approach to city planning and 75 square miles have been set aside as open space. A unique 7.5-mile long greenbelt offers recreational opportunities including fishing, boating, and golf. Scottsdale is also the home to the FBR Open Golf Tournament that carries the distinction of being the best-attended event on the PGA Tour. It’s also the home to other well-visited events such as the Annual Arabian Horse Show, Parada Del Sol, and the Thunderbird Balloon Classic. Every spring, Scottsdale is proud to call itself the spring training home of the San Francisco Giants. It is also proud to be Scottsdale Community College, Scottsdale Civic Center, Scottsdale Fashion Square Mall, the Borgata, the Stagebrush Theatre, Scottsdale Center for the Arts, and Mayo Clinic. Public education in Scottsdale is provided for primarily by the Scottsdale Unified School District No 48. A minority of the outlying parts of town fall under other school districts in the Phoenix Metro Area, including the Cave Creek Unified School District, Paradise Valley Unified School District, Phoenix Union High School District, Tempe Union High School District, and the Balsz Elementary School District. The primary institution of higher education in the city is Scottsdale Community College, although the college actually lies within the boundaries of the Salt River Pima Maricopa Indian Reservation. Many students also commute to nearby Arizona State University in Tempe. Penn Foster College, a distance education college, is headquartered in Scottsdale. Scottsdale is also home of the International School of Arizona, a non-profit language immersion school that teaches children classes in a foreign language (French or Spanish). Scottsdale has a main branch and four branches within the Scottsdale Public Library System.